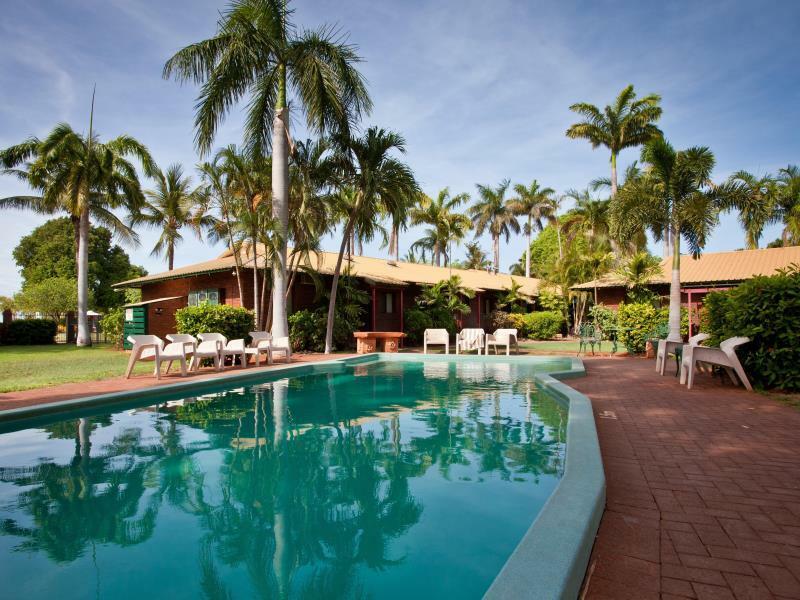 يقع في Broome Central, Bayside Holiday Apartments إنه المكان الأنسب لاكتشاف برومى و ما يحيطها. يجذب هذا الفندق ذو 3 نجوم، والذي يبعد 1.00 Km فقط عن وسط المدينة و 2.00 Km عن المطار، الكثير من الزوار سنوياً. سوف يعشق النزلاء موقع هذا الفندق، فهو قريب من أهم المعالم السياحية في المدينة كمثل ماتسو بروم, ‪Our Lady Queen of Peace Cathedral‬, بروم 6 . إن الخدمات التي يقدمها Bayside Holiday Apartments تضمن للنزلاء إقامة مريحة. لضمان راحة ضيوفه، يقدم الفندق الخدمات التالية: صف السيارات, خدمة الغرف, التوصيل من وإلى المطار, غرفة عائلية, مطعم . تنعكس أجواء Bayside Holiday Apartments في غرف الضيوف.غرف لغير المدخنين, مكيف هواء, ساعة منبه, تليفون, مروحة هي بعض الميزات الموجود في العديد من الغرف. سواء كنت من محبي الرياضة أو كنت تتطلع لتفريغ عناء نهار صعب، ستجد خدمات ذات مستوى عالي بانتظارك كمثل مركز للياقة البدنية, حمام سباحة خارجي, حديقة. يحظى فندق Bayside Holiday Apartments بموقع ممتاز وخدمات يصعب منافستها. 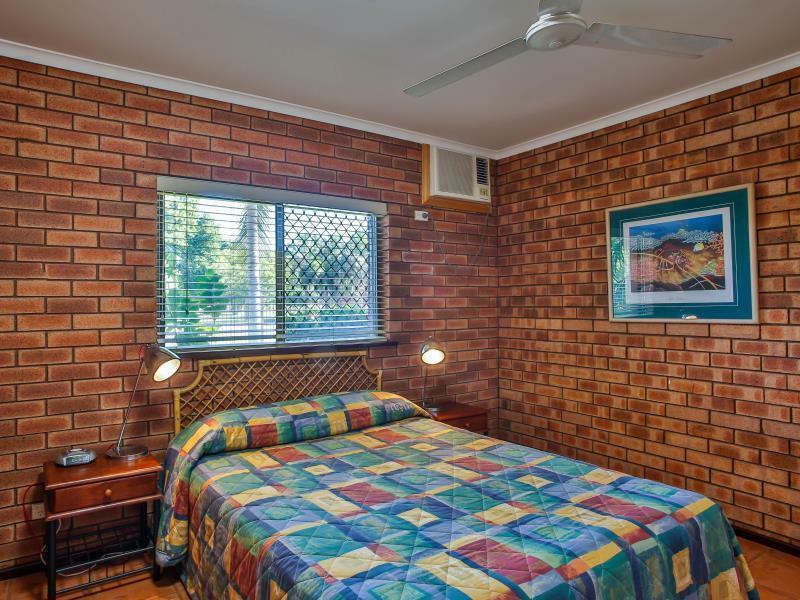 The apartment was spacious and had air conditioning available in the main living area and the bedroom. The ceiling fans were good during the evenings when the weather had cooled a bit. Kitchen was pretty well stocked for anyone who wants to save some money and cook their own food. The place was clean and the bed was comfy. A bit confusing having to check in at the Moonlight Bay Suites around the corner (not previously advised) but once this was sorted out all was fine. Buildings are older style but well maintained with a pool in the middle of the complex. 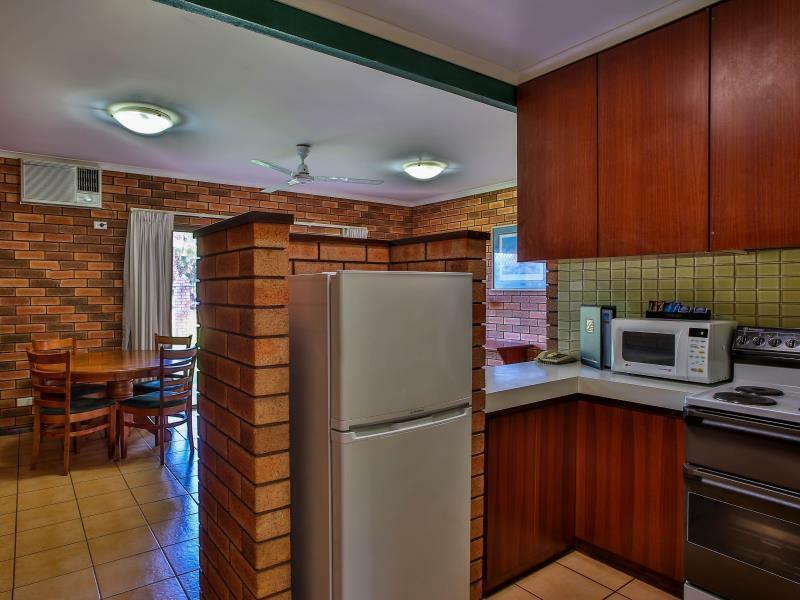 Adequately equipped kitchen and plenty of space. Would stay here again. Great location, very friendly staff, competitively priced and the kids loved the grassed area and pool. This accommodation is a one bedroom apartment. Laundry is free. Parking is fine. Pool. No issues with cleanliness. The only downside was no internet where we were!!! Louise the receptionist was one of the most helpful persons we've come across manning a reception desk. The staff were amazing and extremely friendly. The room was well appointed and clean. While there was no restaurant on site, Matso's amazing brewery, restaurant is just across the road - mmmmm! Location is brilliant, within walking distance of the Museum and caravan park in one direction and Chinatown (I prefer to call it PearlTown as there is little Chinese about it these days). Clean and tidy, wasn't advised that I had to go around the corner to check in so a bit of a hike with all my luggage. the rooms are very old school but everything was neat and tidy. We found this accomodation to have a very spacious and homely feel. It was like staying at a home away from home. we were upgraded to Moonlight apartments. great location, walking distance to museum, Chinatown, town beach, staircase to the moon. Moonlight upgrade from Bayside a 2 star to Moonlight a 4 star, both part of the same complex. Very old can do with an update. No staff on habd should there be any issues you need to go to the Moonlight Suites for assistance and checkin-out. Noisy airconditionerfs that could not be adjusted. Maybe an ok price for Broome. but expensive for what you get. We were extremely pleased with the quality of our room and the hotel in general. We found the staff to be extremely accommodating. They could not have been more helpful. A special thanks to Kate for her help as well. We would for sure recommend this hotel to friends.